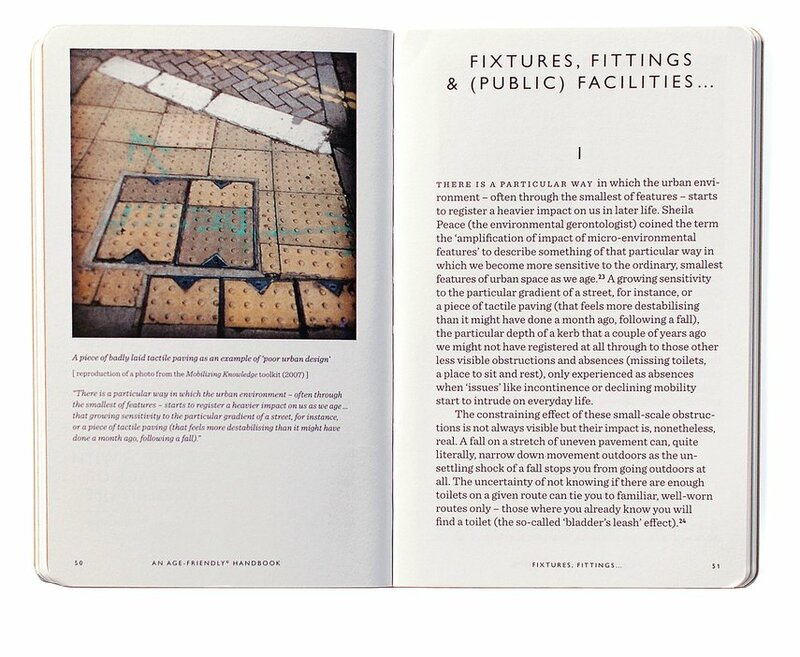 This book by architectural researcher Sophie Handler aims at the ‘socially engaged urban practitioner’. 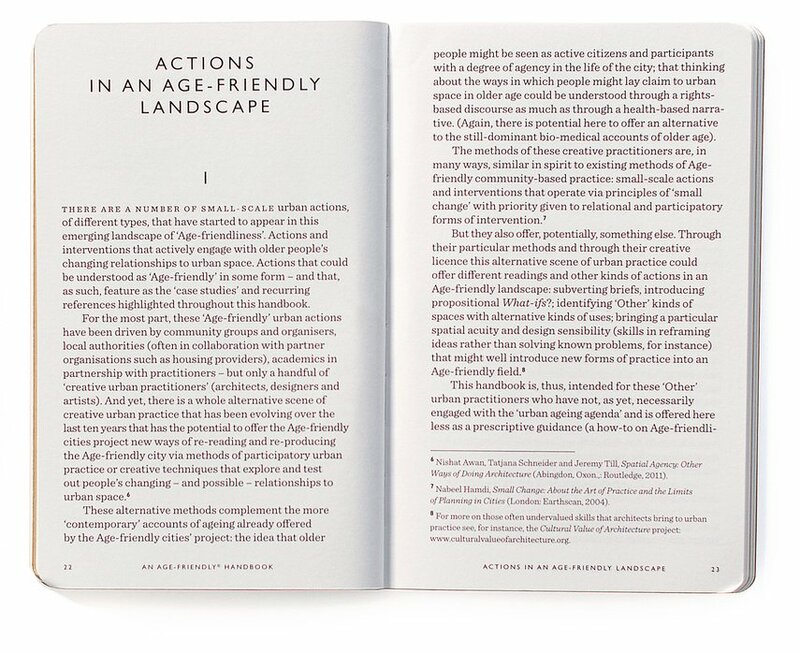 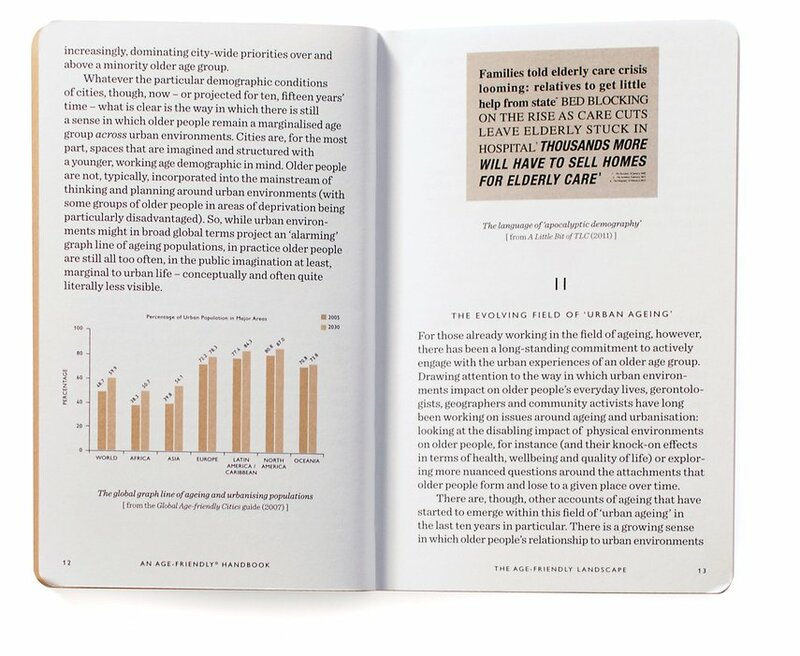 It highlights issues of ageing within our cities and inspires theorists, designers, policymakers and the like to consider age-related challenges into their practice. 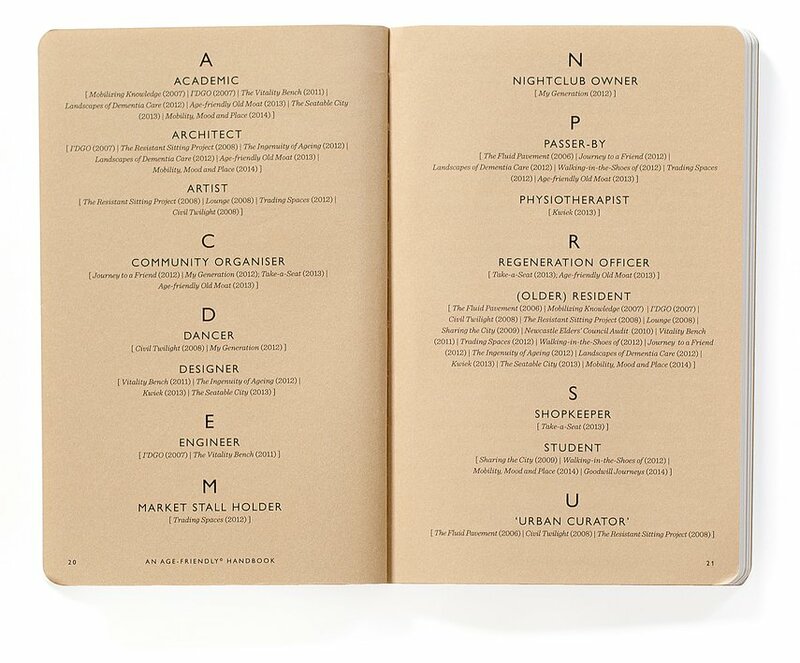 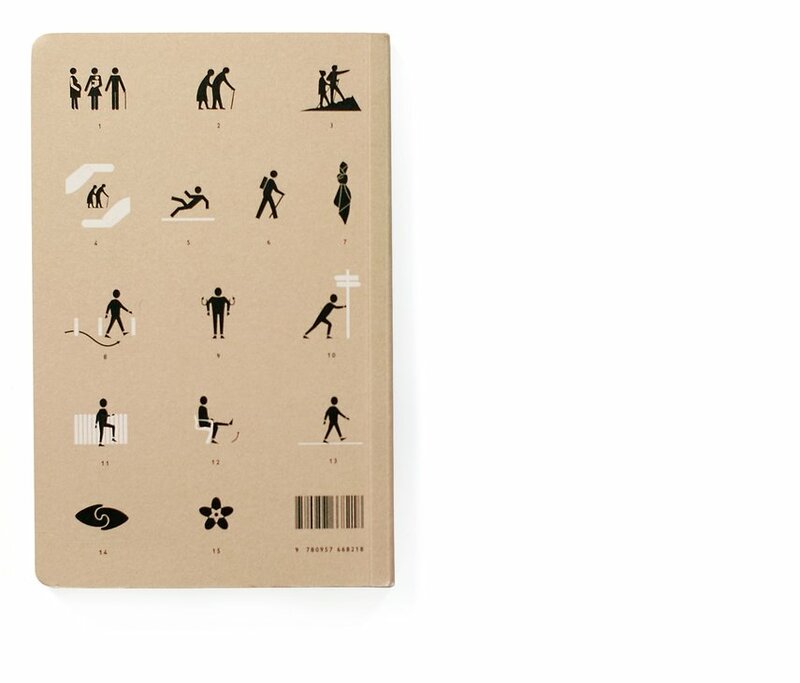 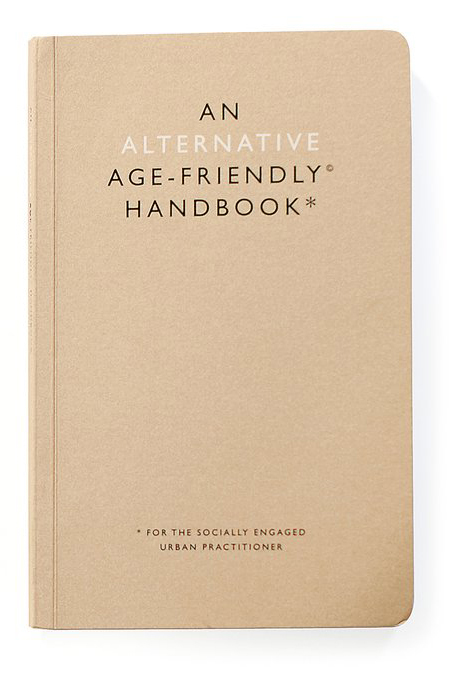 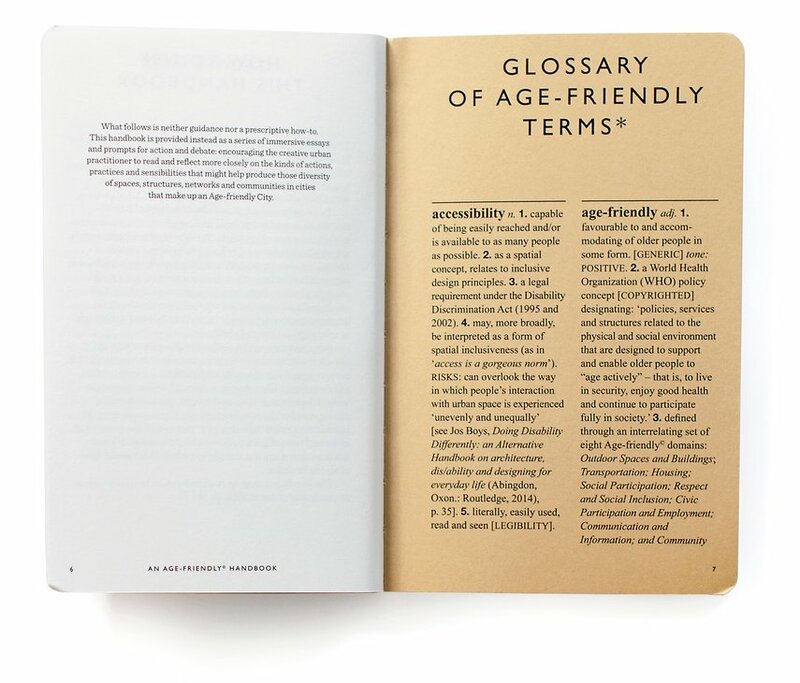 It has been designed as a small format ‘pocket-guide’ in close collaboration with the author.